The Moon Diet is an interesting fad diet that claims it can help you lose more than six pounds in one day. The diet, as you can imagine from the name, uses the phases of the moon as its gimmick, but in reality this diet is just a liquid diet dressed up. The idea behind the Moon Diet is that you do a juice fast for 24 hours coinciding with a change in the phases of the moon. During the 24 hours no solid food is to be consumed, but the person can drink all the water and natural fruit and vegetable juice (with no sugar added) that he or she wants during that time. The Moon Diet insists that the 24 hours must coincide exactly with the changing phases of the moon. You can find the moon phases by visiting the Farmer's Almanac and clicking on "Monthly Sky Highlights and Moon Phase Calendars." This will tell you, just as an example, that if you wanted to start the diet in August 2007 and lived in the Eastern time zone, you could begin August 5 at 5:20 p.m., August 12 at 7:03 p.m., August 20 at 7:54 p.m. or August 28 at 6:35 a.m. The theory behind doing the moon diet when the moon is changing phases is that the changing gravitational effects not only influence oceans and rivers but also the body. Apparently the changing phase makes it easier for your body to let go of excess fluid that perhaps is being stored. It's a basic cleansing diet plan with a twist. There's no evidence that a fasting diet undertaken on the day of a change in moon phases is more effective than any other day of the month. 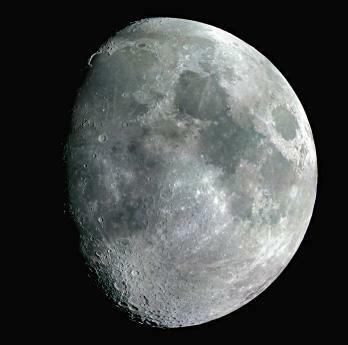 Even if there were something to the effect of gravity on the fluids of the body, it seems unlikely that the change in moon phases would have anything to do with it since the oceans are affected by the tides on a daily basis, not just four times a month. Any fasting diet can cause weight loss, mostly because of the lack of calories consumed. But the weight loss isn't fat, it's mostly water. If you fast long-term you could also lose muscle before you lose weight, so it's not a good idea as a long-term solution to a weight problem. Yes, you can lose weight by not eating solid food for a day, but it isn't likely that weight loss will last once you start eating normally again. It is not advisable to follow a fasting-type diet if you have any health conditions that would be compromised by not eating. For women, examples include if you are pregnant or trying to become pregnant, if you are nursing a baby or menstruating. Due to the fact that many medical conditions do not warrant nutritional deprivation, it is critical to check with your doctor before beginning a fasting diet. There is another type of moon diet that suggests people should eat different things depending on whether the moon is waxing or waning. Trim and Fit with the Moon Diet by Helga Foger was originally published in Germany. The book suggests that it is easier to gain weight during the waxing of the moon because the body is focusing on strengthening and adding at this time. During the waning moon, Foger says, the body quickly eliminates everything that is consumed, so eating more at this time of the month won't harm your diet. She also says that the zodiac sign the moon is passing through is important for your diet. Different zodiac signs have different nutritional influences, she says, so people need to eat different things at different times. While all this sounds too complicated to follow on a day-to-day basis, it is generally a more sensible diet than the other Moon Diet.